You might have seen, through my fitness updates, that I've been on a mission to get fit. I've been doing workouts, yoga, trying to motivate myself to go on runs (and failing miserably) and eating healthier foods. I've cut out a lot of the unhealthy snacks I used to eat. I would binge on chocolate and crisps but instead I go for healthier snacks: rice cakes with hummus, dark chocolate or fruit. I love seeing what other people eat in a day so I thought I'd start showing you what I eat. This wasn't the healthiest of days, as it was during my week off. Usually when I'm at work I'll have a chicken salad with fruit and maybe a yoghurt. 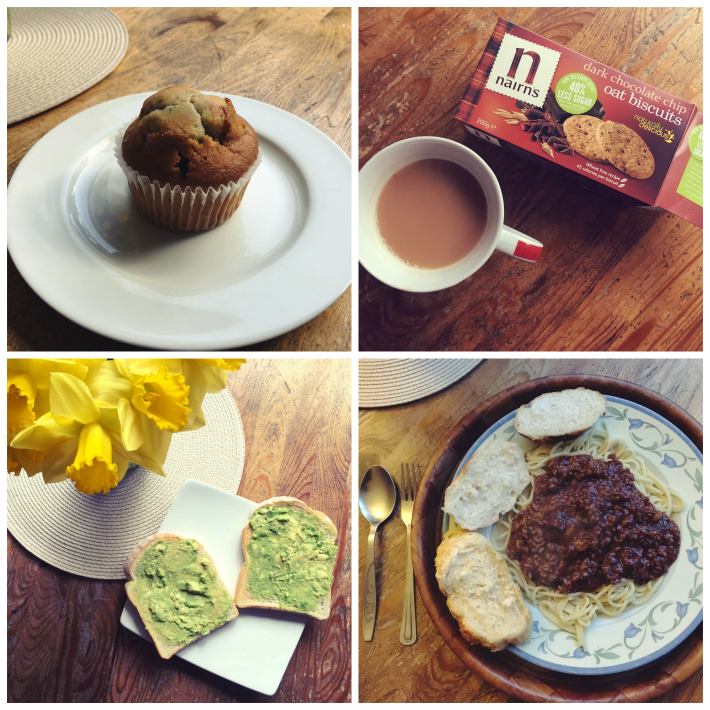 The Spaghetti Bolognese was probably full of calories but I did a couple of workouts in the morning and some yoga so I deserved a bit of a treat. What do you eat on average in a day? Let me know in the comments! Great informative site. I'm really impressed essays review after reading this blog post. I really appreciate the time and effort you spend to share this with us! I do hope to read more updates from you. Thank you for sharing!! It's nice to know how a healthy meal for a day looks nice.